The old one next to the cliffs, no wifi, no phone, no mod cons and almost an hour from the gallery. The second one in the Duntulm, also far away but with everything installed, a lovely owner and smart decor. 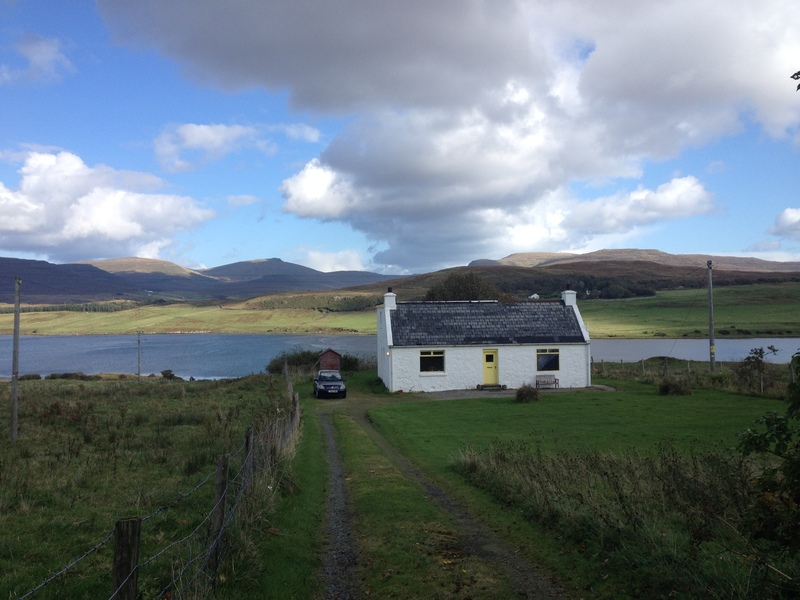 The cute one 10 mins from Portree, wifi,neighbours, tv and everything sorted. A long let shouldn’t normally be such a big decision but this isn’t just a holiday home to me. When the winter gets dark and stormy I want a refuge where I can curl up in front of the fire with a book whilst the wind whistles through the dark Cuillins behind. Or somewhere where I can run through the door to a hot cup of tea when the raindrops are pelting so hard they feel like whiplashes and you can’t tell what’s rain and what’s sea spray. Yes, it’s completely silly and whimsical but it’s a significant part of why I’m here so I wont be apologising for it! But back in the real world… I’m in a far away place, on my own, with no experience of a Hebrides winter and no 4×4. I suppose I need to be sensible. My head says the third property, or at least the second. Still something in my heart pulls at the first. There’s only one person to turn to when a girl is in a quandary. I call Mum. Well, I don’t actually call Mum because this is Skye and there’s NO PHONE SIGNAL ANYWHERE! But I do manage to locate some Wifi and get hold of her via Whatsapp. I tell her about the place I’ve just seen, how handy and how near it is. I tell her I can’t decide. What do I go for? 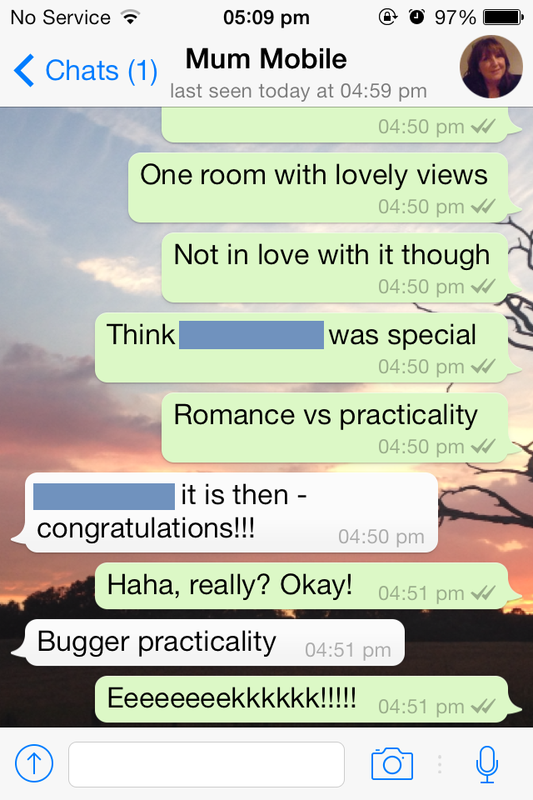 Do I choose romance or practicality? So I emailed the owner, Patsy, and Kilmaluag is to be my new home. EEEEEEEK!!! Toto, we’re not in Kanas anymore! This entry was tagged Aird, An Aird, Cottage, Croft, decisions, Duntulm, eek!, Home, kilmaluag bag, mum, North, Portree, practicality, quandary, romance, Skye, Trotternish, whatsapp. Bookmark the permalink. Think your choice is perfect! Inspiring view! Cell reception… try Staffin Beach (which is why you’ll sometimes see “on location” photos from there on my Facebook timeline).